This is the first article about products, – innovations, and it couldn’t be nothing else than RG guide system by ZENAQ. The reasons for this article are the many comments on my Youtube videos, about them. Comments like “what are those peculiar guides?”, or what kind of guide system is this? 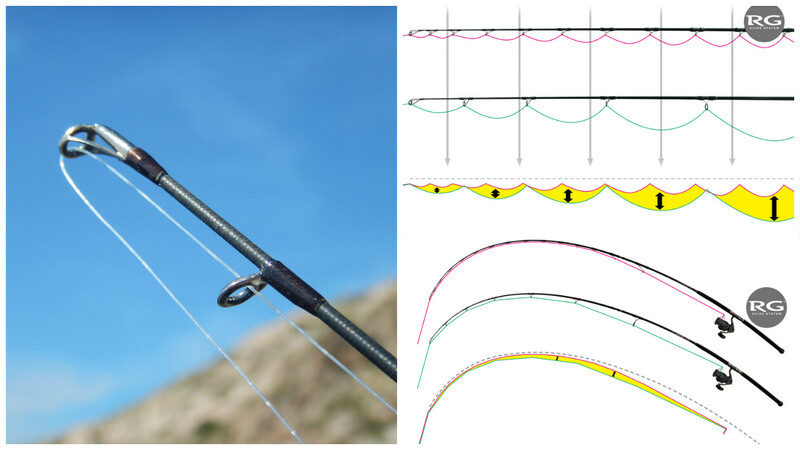 The RG guide system of ZENAQ is a very innovative project about line management and rod action. It serves many ways the experienced angler and this is exactly what we are about to see now. What are RG Guide System? Until Plaisir Answer models became reality in my hands, I already had two models of the former Defi Plaisir series, (DP 83, DP 93) and most of my other rods where “wearing” Fuji K or Y titanium or stainless steel guides with SiC rings. I must confess that I was very satisfied with K and Y guides, but that did’t last long. The first rod I got with the RG system was the Plaisir Answer 88 Crazy Hunter. This unbelievable model is a lethal sea bass rod and really got my attention. So far, RG guide system on my eyes was looking bizarre and we all must admit that with the first glance, it looks like the best way to limit your casting distance. So many small guides on the rod, really look simply too much. But reality is so much different. Left: The second guide form the tip is only 4cm away from the first! This makes impossible to the braid to “ride” the second guide during casting! Right Top: You can see clearly the different size of the braid curves compared to normal guide setting. Right Down: The way the line is following the blank’s curve is unbelievable in RG guide system! How Does RG Guide system works? RG Guide System serves the angler in many ways. I will try to expose them one by one as easier as I can! It is actually very simple! You just need to know basic math and multiply friction! What I mean ha? Ok here it is! As you can understand, the friction on the first guide (RG) is very high since it is hundred times smaller than the diameter of the spool. So far, so good. But what we don’t keep in mind is the continuous friction on normal guide setting from bigger rings to smaller ones. In most cases, the rods have maybe 4 or five different downsized guides and the friction from the bigger to the smaller X4 or X5 is much higher than the single one on the RG system. So what we get from this? 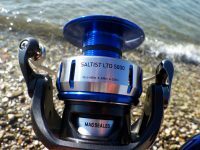 At least 20% of better casting distance depending always on the quality of the braid and the reel. 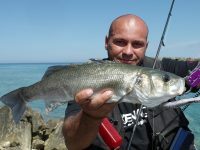 Rg Guide system helped me in many ways to understand if my lure works right on the tides, if something has snagged on the trebles or even feel the slightest bite. I can swear that there are times that I can feel even the trebles of the lure hit the plastic body in minnows or even feel the paddle tail of silicon lures even as far as the end of the cast. This super feeling of the lure is a result of the many narrow guides that transfer to the angler’s hand, every info! The amazing ZENAQ blank and the reel seat play also a huge role to that! We all know what a headache brings a PE tangle. Especially those damned PE X8 braids are masters of tangles and so hard to untangle them! RG system brings an end to this. How? No there is nothing magic about it, it is just years of design and experiment. The many guides close to each other do not allow the line to make big curves between them, especially with side wind. 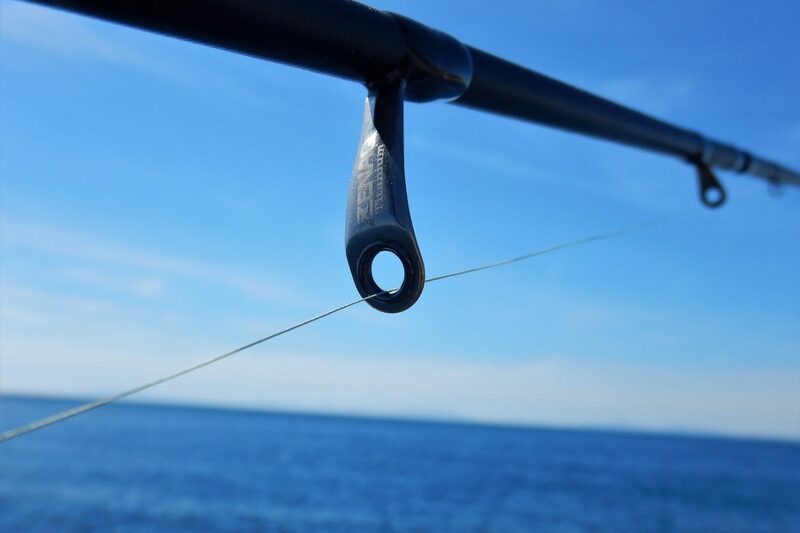 Side wind is the number one reason for line problems and poor line management of the reel. RG guides make sure that will keep the right tension on the braid while reeling and protect us from bird nests and guide tangles. This is why the second guide from the tip is only 4cm away from the tip guide. This way is almost impossible for the line to “ride” the second guide, a very usual phenomenon that costs lures and sometimes even rod tips. So what someone can expect is also raised PE braid life cycle that what he has used to so far with normal guide setting. Rod action and performance has reached another higher and completely different level! 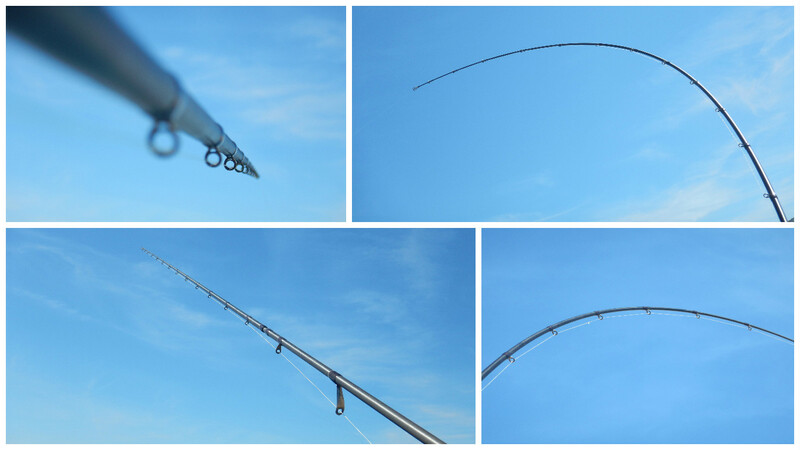 4) Extraordinary fish fight and superior rod performance. Still there is no magic, just ZENAQ specialization. The so many guides on the rod, makes it work like an “in liner”. The blank works very progressively and with elimination of the curves of the line between the guides, the whole blank action rises dramatically. 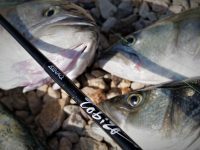 No loses of power and feeling and an unmatchable contact on the fish, gives you the confidence and safety to even exceed the safety borders of most rods. The line gets less tense shock and more progressively and so does the leader, protecting this way the knots and helping with abrasion if needed. Another nice advantage is the performance of the blank that due to the lower weight and mass of the guides (especially in light game – medium game rods), tend to response much quicker and better. It took me a while to understand that my drag needs, where different than the ones I used before. Btu yes I insistently compared my drag needs from the former Defi Plaisir 93 with the now Plaisir Answer 93, side by side, and realized that the RG rod takes more time to use the drags of the reel and when so, it does much more progressively. This is the result of the RG guide system “drain” rods quantities before reel’s drags come into play! So what someone can expect from his RG rod? Fishing with RG guide rods, the result is unique. You will be able to tell if your lure has right action or movement or not. Your casting distance will increased with less effort and your ability to sense everything underwater will climb to another level. With RG guides, setting the hook in real time is something very easy, and so is the ability to give excellent animation and control to your lure. 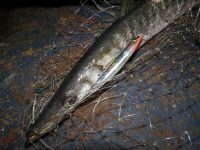 The minimal loose line between the guides, allows you to control and perform lure techniques instantly and without loses. With less words, once you use RG you can never look back!